Be a part of the 2nd annual MS Bites fundraiser! I need some help to make this event as successful as possible. If you are interested and able to help with one of the following (or have something to contribute that I’ve not listed), please reach out to me via email (tommibike at gmail.com) or phone (425.941.7914). Any help, big or small, is greatly appreciated! If you’d like to help, but can’t commit a lot, reach out and we can set you up with some small items that will still have a big impact. Fundraiser will take place at Cartlandia on July 26th from noon-4pm. ← Join Us this Sunday!! So All-Ways Happy to Help is donating 4 man hours of helping service. Value $100. Also I do some need craft things I can give if you are interested. That’s great! To clarify, is All-Ways Happy to Help donating that service time as a raffle prize? Or is it intended to be used during the event itself? JOIN or DONATE to Team Amulet! 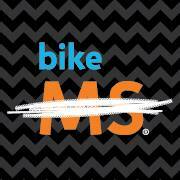 Countdown to Bike MS 2015! Wine, Beer & Bike MS is Here! Tim Goodman on Need More Training Rides? David Wilson on Upcoming Training Rides!